Magnesium and vitamin D: The perfect pair? (Natural News) Magnesium is more than an essential mineral: It’s responsible for over 300 biochemical reactions needed by the body to function well. According to a study in The American Journal of Clinical Nutrition, this essential mineral can even regulate vitamin D levels in the body, increasing it in people with deficient levels and reducing it for people with elevated levels. This study is the first to provide evidence of magnesium’s crucial role in optimizing vitamin D levels and preventing adverse conditions from having too much or too little of it. “Magnesium deficiency shuts down the vitamin D synthesis and metabolism pathway,” explained Qi Dai, the lead author of the study and a professor at Ingram. In conducting the study, the researchers recruited 250 participants who were between 45 and 85 years old. The participants were considered at risk for developing colorectal cancer based on their risk factors or had precancerous polyps removed in the past. The researchers then gave them either magnesium doses or placebo based on baseline dietary intake. The doses of magnesium used in the study were in line with the recommended dietary allowance (RDA) guidelines. The results of the study indicate that optimal magnesium status may be essential for optimizing vitamin D status. These findings are important because unlike vitamin D deficiency, magnesium deficiency is an under-recognized health problem. 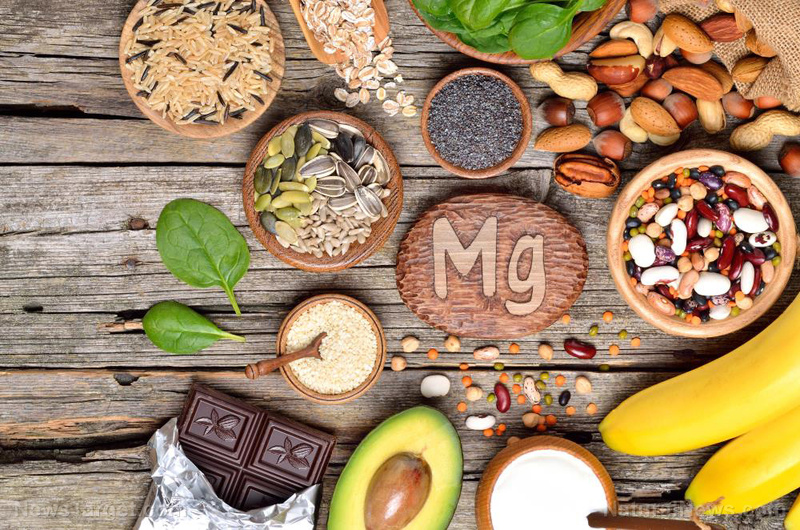 “Up to 80 percent of people do not consume enough magnesium in a day to meet the recommended dietary allowance (RDA) based on those national estimates,” said Martha Shrubsole, one of the researchers of the study. This study is part of an ongoing effort to determine the link between vitamin D and colorectal cancer, as well as other chronic diseases. Eat foods rich in magnesium: The best food sources of magnesium include kelp, almonds, cashews, molasses, buckwheat, Brazil nuts, dulse, hazelnuts, millet, and pecans. Make sure to soak nuts for 12 hours, then rinse them before eating. Soaking nuts will trigger them to release enzyme inhibitors called phytic acids. Not soaking nuts will still increase magnesium levels, but will decrease levels of zinc, which is also an essential mineral. Avoid magnesium-depleting foods: To keep your magnesium levels high, avoid eating foods with gluten, refined products, non-organic farmed foods, cheap common table salt, as well as drinking alcohol, regular and decaffeinated coffee or black tea, and tap water laced with poisonous sodium fluoride. Get enough of these other nutrients: You need to have sufficient levels of vitamins D3, B1, B6, E, and selenium. These nutrients will help utilize, absorb, and keep magnesium in the body. Try high-quality magnesium supplements: You can also take a high-quality magnesium supplement, such as magnesium amino acid chelate and magnesium citrate, twice a day with your meals. Avoid taking magnesium oxide because it creates a caustic magnesium hydroxide in the body, which is very poorly absorbed and can burn the intestine walls. Apply magnesium oil topically: Applying magnesium oil on your feet before going to bed can also help restore magnesium levels. Experts recommend getting about 2,000 milligrams (mg) of magnesium every day for people leading an active life.